When attempting weight loss it’s important to remember that dietary changes need to be sustainable for long-term success. Type 2 Diabetes (and other chronic diseases) is associated with obesity. Many research studies show that weight loss can significantly: 1) reduce the risk of developing type 2 diabetes (and other chronic diseases), and/or 2) improve control of type 2 diabetes, resulting in complete remission in some cases. There are many ‘diets’ designed to achieve this desired weight loss and one that is currently getting a lot of attention in the media is the: very-low-energy diet, also known as VLED. Are VLEDs the best method to achieve the best results when it comes to preventing and controlling diabetes? VLEDs are a controlled intake of < 800 kcal or 1700-3330 kJ/day. These diets are designed to optimise your nutrient intake (vitamins, minerals, electrolytes, fatty acids as well as quality protein to maintain lean body mass) in a limited energy (kilojoule or calorie) budget. Many studies have shown that VLEDs can result in significant initial weight loss, with the potential to maintain that weight loss, resulting in improved control or complete remission of type 2 diabetes. There are potential side effects of VLEDs such as: constipation, headaches, cold intolerance, hunger pangs and fatigue. These can make long-term adherence to VLEDs difficult. In summary, VLEDs need to be used with caution and with professional support to achieve short and long term weight loss. Long-term control or remission of type 2 diabetes requires long term eating behaviour changes. If these changes are not sustainable, the weight is regained and often resulting in more weight gain then before commencing on the VLEDs. More studies need to be undertaken to determine how VLEDs can be used to achieve short and long-term control of type 2 diabetes. Any weight loss programme requires weight loss maintenance management to achieve long-term weight loss and this is particularly important when using VLEDs for weight loss. 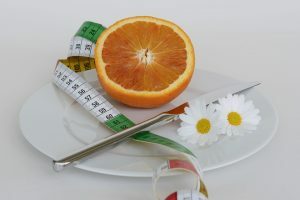 Therefore when trying to lose weight to reduce the risk of developing or managing type 2 diabetes, it is important to consider how sustainable your chosen weight loss method is and what programmes are available that can provide long term support. With so many options out there, it is important to make dietary changes that will work for you. Accredited Practicing Dietitians are there to assist with weight loss, and use individualised meal plans to support you to achieve your short and long term weight and health goals. Asher RCZ, Burrows TL, Collins CE. Very low-energy diets for weight loss in adults: A review. Nutrition & Dietetics. 2013;70:101-112. doi: 10.1111/j.1747-0080.2012.01628.x. Parretti HM, Jebb SA, Johns DJ, Lewis AL, Christian-Brown AM, Aveyard P. Clinical effectiveness of very-low-energy diets in the management of weight loss: a systematic review and meta-anlaysis of randomized controlled trials. Obesity Reviews. 2016;17:225-234. doi: 10.1111/obr.12366. Rehackova L, Arnott B, Araujo-Soares V, Adamson AA, Taylor R, Sniehotta FF. Efficacy and acceptability of very low energy diets in overweight and obese people with Type 2 diabetes mellitus: a systematic review with meta-analyses. Diabet Med. 2016;33:580-591. doi:10.1111/dme.13005.